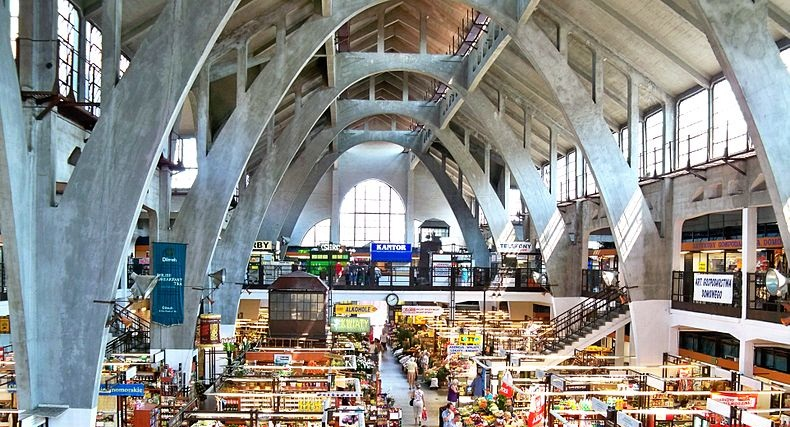 Fresh vegetables, exquisite meats, or even antiques - all that is available at weekend shopping in Wroclaw. Learn where to find products different than those in typical stores. Even though there are less and less street markets, still there are places which offer unique goods. We have all gotten accustomed to doing quick shopping at the way home from work or school in large markets and local chain groceries. When we look for ideas for a gift or for home goods, we enter Internet auctions. Meanwhile Wroclaw gives easy access to all that. You just have to know where to look. Hala Targowa, located in the very centre of the city, on Piaskowa street, is the most popular one. There is one more: Hala Tęcza, on Bajana street, much further from the centre, in the direction of Leśnica. Both places offer fresh vegetables and meats. These are the places to go if you want to buy various types of Polish apples, tomatoes grown by farmers and all seasonal vegetables you can dream of. They also provide the highest quality meat, perfect for burgers, to make a stew or aromatic casseroles. If you are a fan of Polish cold meats, you can find there real, redolent sausages. You are bound to have a successful shopping also if you need to get fresh fish. In Hala Tęcza, there are also stands where they sell ecological products, traditional Italian cold meats, and cheeses from all corners of the world. ● Lotnicza street, next to Dom Handlowy "ASTRA"
The people who prefer buying the healthiest products should always plan to shop at weekends. On Saturdays, there are a few places where special street markets open: Ekobazar on Tęczowa street no. 57 (open on Saturdays from 8 a.m. to 4 p.m.) and the ecological market Krótka Droga on Białoskórnicza street no. 26 (Saturdays from 10 a.m. to 1 p.m.). Local farmers sell their own fruits, vegetables and processed goods. Some of them come from certified farms, even grains, flours, eggs. Many sellers are happy to share their recipes, advice on cooking, etc. It is also possible to order specific products from the farmers. Other places worth visiting are Wrocalw’s flea markets, where you can buy literally everything: antiques, historical china, used bicycles of famous brands, beautiful clocks, and paintings.. The sellers also offer here German cleaning products, custom-made furniture and household appliances. The most popular one is called Na Młynie and it is located on Poprzeczna street no 33/35; open every Sunday from 5 a.m. to 4 p.m. Another interesting one is closer to the city centre, on Dworzec Świebodzki, Robotnicza street no 1; open every Sunday from early morning to app. 3 p.m. They sell all kinds of products there - in really good prices, which is the reason why many citizens shop here. The flea markets have become a part of the city culture, even though local authorities consider closing them every once in awhile. These are just a few examples of places to go to do healthy, unusual shopping in Wroclaw. From time to time, there are also occasional bazaars of fairs, but we have chosen here the fixed points on the city map. Visit these places from time to time, if you would like to add some Polish novelties to your regular menu. There is a place where you can see Wroclaw from a completely different perspective. 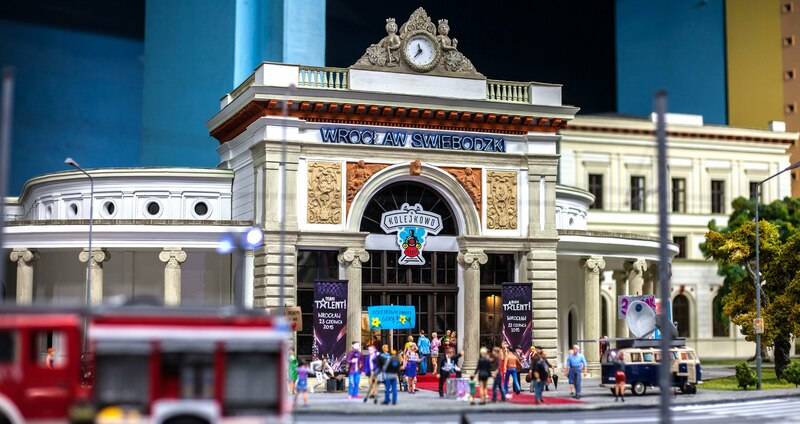 Everything thanks to the trains… in miniature. Kolejkowo is not only ideal for the fans of railway, but also for those who would like to be reminded how cool it was to look at the world with the eyes of a child. Besides, children have great fun there, because Kolejkowo was established to make their dreams come true.